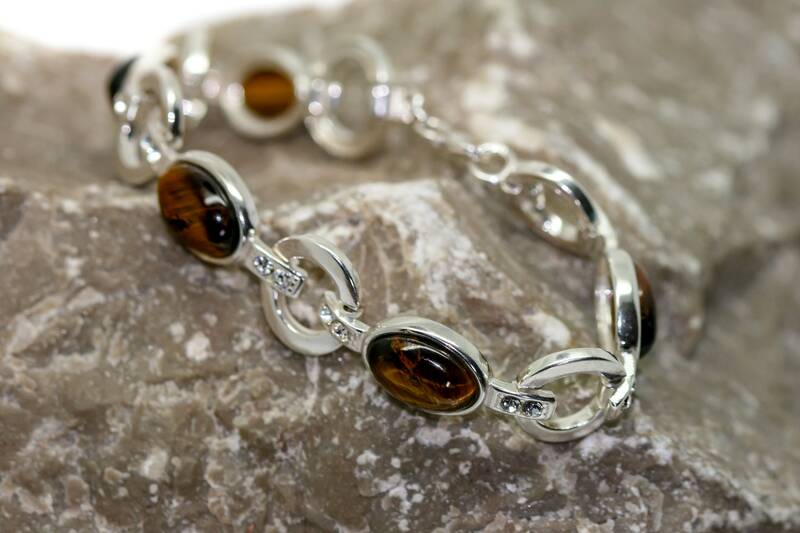 We are excited to present this lovely bracelet made of 5 pieces of Tiger Eye which has been lovely set in sterling silver. 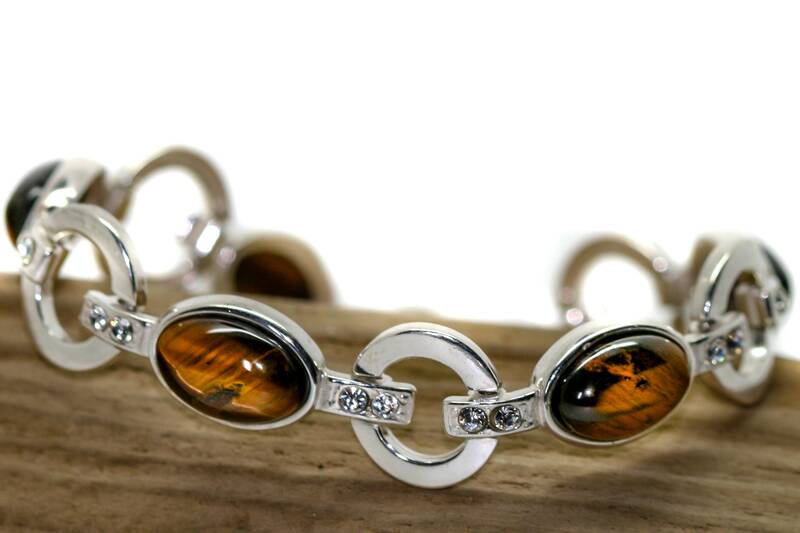 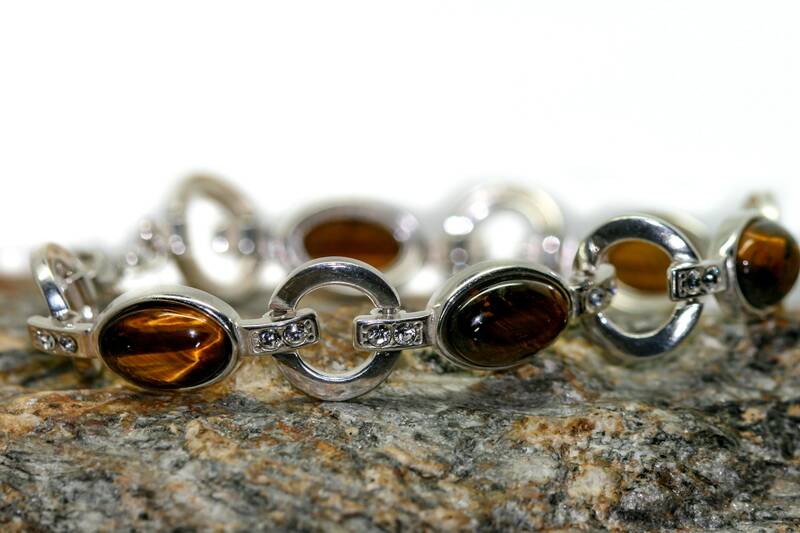 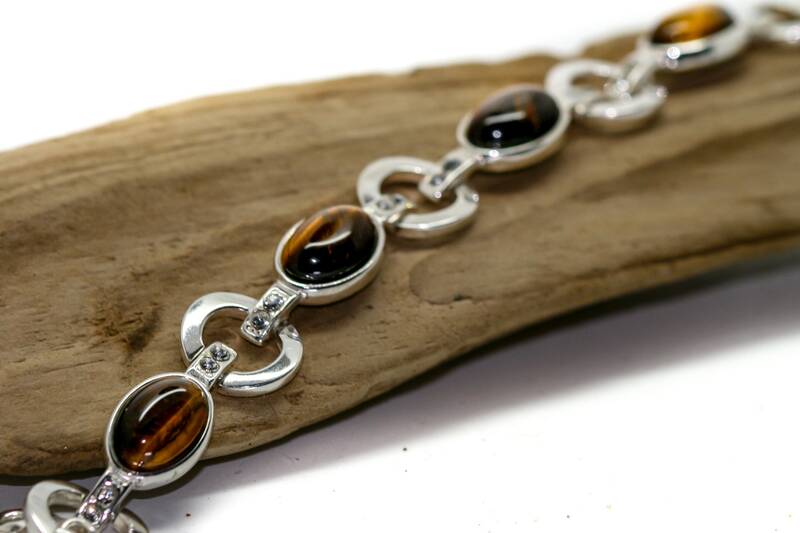 Every link of this bracelet is made of round shaped tiger eye bits fitted in to round sterling silver setting. 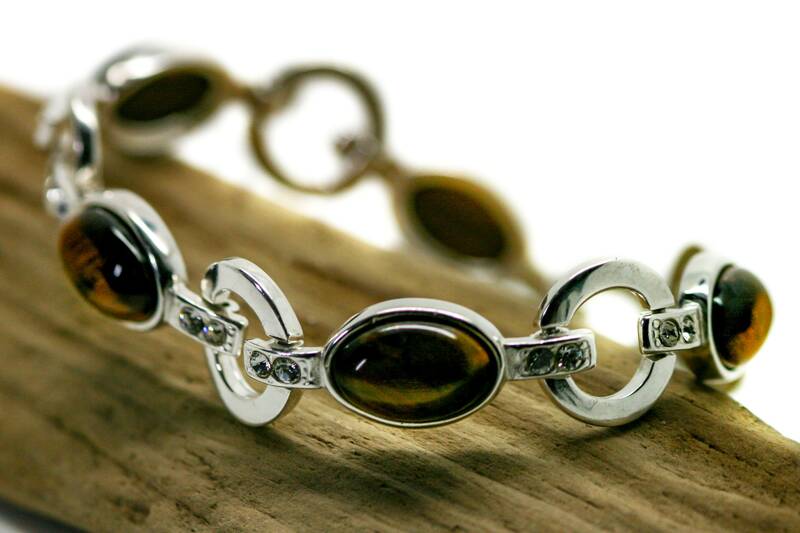 Size of the design: 7 inch long. 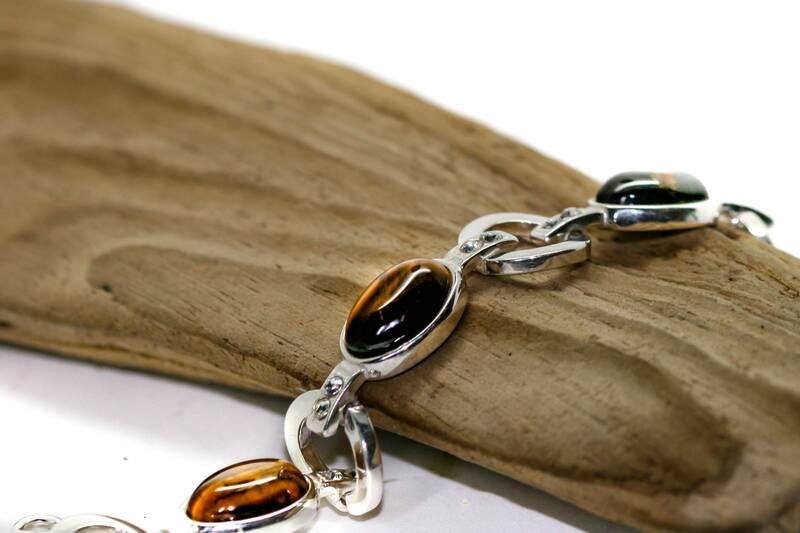 Perfectly polished Tiger Eye set in 925 sterling silver setting.